“Please pray for the Diocese of Tulsa Sunday afternoon. 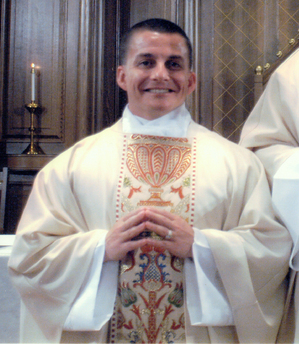 Father Gomez was the new associate pastor at Saints Peter and Paul. He was a graduate of Saint Meinrad Seminary. 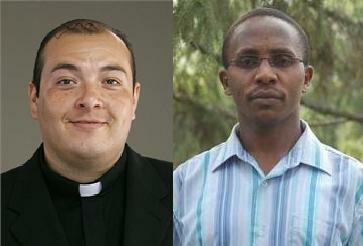 Stanley was Kenyan born and working at the same parish as Father Jorge. faithful departed, rest in peace. Amen. in my heart I have been thinking a priest who died on 3 July at his own hand. sustain us when we can’t remember that He’s offered us the Hundredfold. Elizabeth Ann Seton Parish in Northampton on July 12.
are the distinguishing characteristics of Christ’s presence in these events? each other, and at this time all those who mourn Father Paul Archambault. Also, I would also caution against defining a person exclusively by some of his or her actions. We are more than one or two actions. So, it is with the Sacrament of Holy Orders of the Priesthood. Grace. Not magic. The Congregation for Clergy published an examination of conscience entitled “The Priest, Minister of Divine Mercy: An Aid for Confessors and Spiritual Directors” which hopes to reinvigorate the priest’s spiritual paternity by a recovery of the sacrament of Confession by penitent and confessor. Here is yet another aspect of the new evangelization called for by Blessed John Paul II and now Pope Benedict: the renewal of priests and people through Reconciliation. “The Priest, Minister of Divine Mercy” is the fruit of Pope Benedict’s Year for Priests. As Cardinal Piacenza notes, this “is a measure of authentic faith in the saving action of God which shows itself more clearly in the power of grace than in human strategic or pastoral initiatives which sometimes overlook this essential truth.” A sobering statement for one who works in a parish. 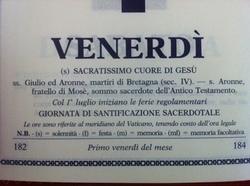 On the surface it seems that this text is exclusively for the clergy. Don’t be fooled into putting it aside. I would recommend it to the laity as well. Be acquainted to the sacrament of Confession, the theology and practice of the Church and what the Church expects of her clergy. We have to help each other see Christ’s work among through concrete manifestation of Divine Mercy. “It is necessary to return to the confessional as a place in which to celebrate the Sacrament of Reconciliation, but also as a place in which “to dwell” more often, so that the faithful may and compassion, advice and comfort, feel that they are loved and understood by God and experience the presence of Divine Mercy beside the Real Presence in the Eucharist”. With these words, the Holy Father Pope Benedict XVI addressed confessors during the recent Year for Priests, indicating to each one present the importance and therefore the apostolic urgency of rediscovering the Sacrament of Reconciliation, both from their viewpoint of penitents as well as that of ministers. Along with the daily celebration of the Eucharist, the availability of the priest to hear sacramental confessions, to welcome penitents, and to accompany them spiritually when they so request, is the real measure of a priest’s pastoral charity. By their availability, priests give joyful witness and in a certain sense take upon themselves their true identity, redeﬁned in the Sacrament of Holy Orders and not reducible to a mere functionality. The priest is a minister, which is to say that he is at the same time both a servant and a prudent dispenser of Divine Mercy. To him is entrusted the serious responsibility “to forgive or to retain sins” (cf. John 20: 23). 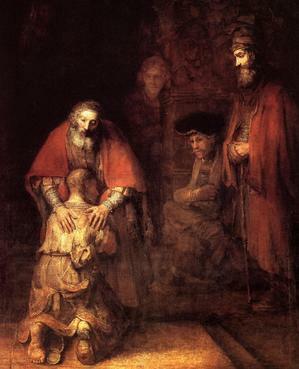 Through him, and through the power of the Spirit who is the Lord and Giver of Life, the faithful are able to experience today in the Church the joy of the Prodigal Son, who after a life of sin returned to his father’s house in the manner of a servant but was welcomed with the dignity of a son. Whenever a confessor is available, sooner or later a penitent will arrive. And if the confessor continues to make himself available, even stubbornly so, sooner or later many penitents will arrive! Our rediscovery of the Sacrament of Reconciliation, both as penitents and as ministers, is a measure of authentic faith in the saving action of God which shows itself more clearly in the power of grace than in human strategic or pastoral initiatives which sometimes overlook this essential truth. Responding to the appeal of the Holy Father and expressing his profound intent, this aid is intended as yet another fruit of the Year for Priests, to be a helpful instrument for the ongoing formation of the Clergy and an aid in rediscovering the indispensible value of the Sacrament of Reconciliation and of Spiritual Direction. The new evangelization and the ongoing renewal of the Church, semper reformanda, draw their life blood from the true sanctiﬁcation of each member of the Church. It is clear that sanctiﬁ cation must precede both evangelization and renewal, for it lays claim to and forms the necessary precondition for every effective apostolic effort, as well as for the reform of the Clergy. In the generous celebration of the Sacrament of Divine Mercy, each priest is called to experience for himself the uniqueness and the indispensability of the ministry entrusted to him. Such an experience will help him to avoid the “ever-changing sense of identity” which so often marks the existence of some priests. Instead, his experience will cultivate within himself that sense of wonder which ﬁ lls his heart, for through no merit of his own he is called by God, in the Church, to break the Eucharistic Bread and to forgive the sins of others. The feast of the Sacred Heart of Jesus is an apt day to pray for Catholic priests. Perhaps making time to pray the Act of Reparation, Most Sweet Jesus. There is a plenary indulgence given for the prayer publicly recited. The usual conditions apply.